Mom's Gone Bronson! 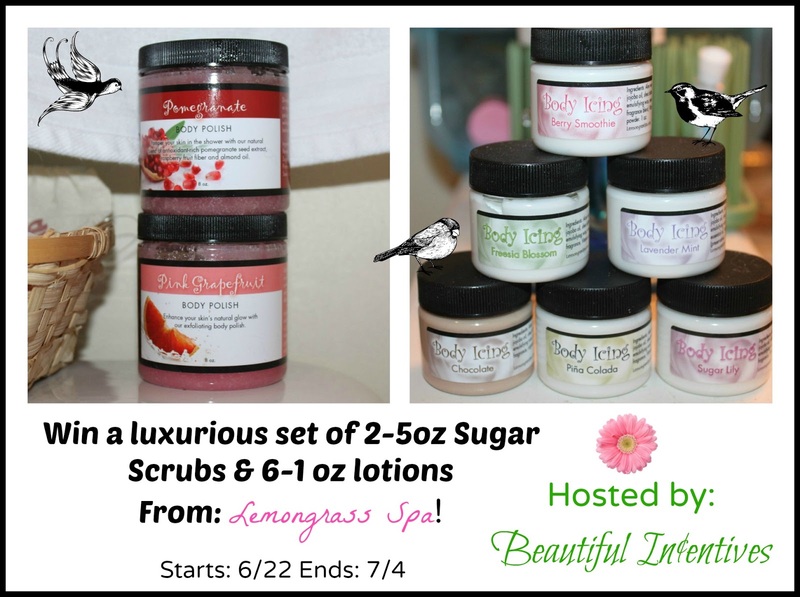 : Lemongrass Spa, Review and Giveaway! I am back with more body lotions and potions to rave about. This particular company has me wanting more and more, with their mouth watering fruity and bakery scents. I just cannot get enough! Lemongrass Spa is a small company that sells all the bath and body products you can imagine and I am here today to introduce you to their Body scrubs and lotions. Lemongrass spa started out as an idea sprung by a simple spa house party, where they were taught to make their own home made bath and body products. The creator, Heidi Leist, learned about all the nasty chemicals and toxins in a lot of products today and had an idea after attending that party. She later collaborated with the party host and soon, Lemongrass spa was born. 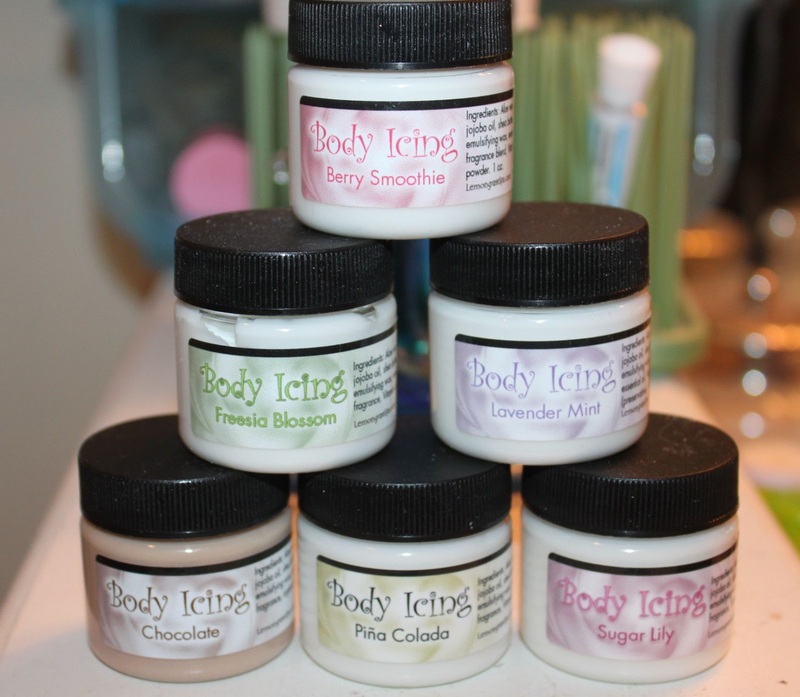 A bath and body line based in Colorado, that is non-toxic and nourishing, made to pamper women, safely. 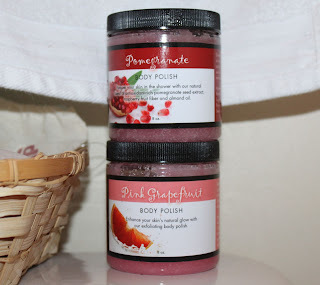 I had the pleasure of experiencing a very botanical, spa-like shower when scrubbing my body with these body scrub polishes. They were a real treat to my drying skin. The scents were outstandingly delicious in Pink Grapefruit and Pomegranate - of which I will never get tired! Sure anything can smell good, but how do they perform? Amazingly! My hands and whole body were so soft after use and I smelled like a fruit parfait for hours on end. I couldn't stop sniffing myself. These body polishes WORK and if you look on the back at the ingredients, you will know why. They are jam packed with very softening oils, such as Sweet Almond oil, Apricot Kernal oil, Coconut oil, Vitamin E oil and it goes on! All these oils mixed with fruity extracts and real white sugar makes these such a treat that you'll want to eat yourself! I use this to exfoliate before I shave and after I shave and hands down it helps tremendously to prevent irritated bumps and razor burn. LOVE this stuff. Ah, the body "icing". Top it all off with a nice slathering of this and you'd be hard pressed for anything better. Another amazing treat for the senses and body. These all have very tropical and bakery scents that make me want to eat them. I used these on my hands and feet and they really did keep them quite soft. It's no surprise given their moisturizing ingredients like: Aloe Vera gel, jojoba oil, grape seed oil, cocoa butter and so much more. I put these in my purse and they are a nice pick me up to rub on my dry hands during the day. The scents are always so pleasant. Berry Smoothie-A subtle berry scent. Chocolate- It really does smell akin to the real thing. I mixed this with my peppermint body spray and smelled like a chocolate mint desert! Pina coloda- Smells exactly like the drink. Freesia Blossom- A very fresh floral scent. Lavender mint- A really refreshing scent and great for feet. Sugar Lily- Like flowers dipped in sugar! Overall, I am thoroughly pleased with Lemongrass spa and I love their packaging. Packaging isn't always important, but for me I love eye candy as much as body candy and their presentation is very pretty. This is the best sugar scrub I have come across to date and I don't think that I would be able to duplicate all the wonderful ingredients on my own. The lotion scents are super yummy. They are a little on the pricey side at $13 a pop, but worth the treat once in a while and they have lasted me over a month so far. A little goes a long way! Lemongrass isn't just a bath and body dream, they also sell makeup and so much more that I hope to try! Check out their bath and body catalog! You can find more information on this company at Facebook and Twitter. And now, I am excited to be able to offer you a chance to win everything I reviewed! Disclaimer: Mom's Gone Bronson is not responsible for prize fulfillment. All opinions expressed are those of Beautiful Incentives, who was provided with the product in order to perform a fair and honest review. Your views may differ. Mom's Gone Bronson was not compensated for this post. Thank you!